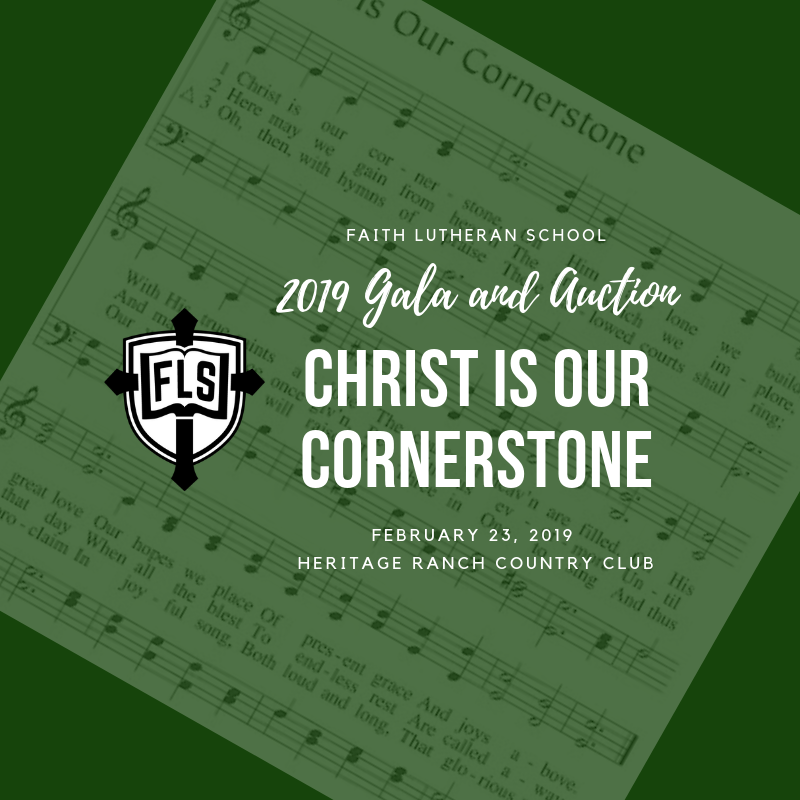 On February 23, 2019, Faith Lutheran School will host our annual fundraising dinner and auction at Heritage Ranch Country Club in McKinney, Texas. 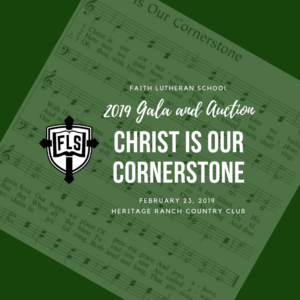 You are invited to join us for the 12th annual Faith Lutheran School gala and auction event on Saturday, February 23, 2019 at 6 p.m. at Heritage Ranch Golf & Country Club in McKinney, Texas. Money raised at the event benefits Faith’s students in all grades. The event – themed “Christ Is Our Cornerstone” – will feature a silent auction, live auction, buffet dinner and entertainment! This year, funds raised will be used for campus beatification, safety/security enhancements and other improvements. Tickets for the event are $55 each (includes one drink ticket for bar item of your choice!) or a table of 8 for $600 (which gives you 10 extra minutes of bidding time at the end of the silent auction!) Tickets are on sale in the school office every day and in the Faith Lutheran Church – Plano Narthex on Sundays. For your convenience, tickets may also be ordered via your child’s teacher using the attached ticket form. Ticket sales end Thursday, February 14, 2019. Drawing tickets for prizes of $100 and $150 in auction dollars or $250 to the Scrip retailer of your choice are also available for $10 each. • “Night out” packages including BBQ, beer & board game night, Scottish dinner with whiskey tasting, stargazing/s’mores and more! • and the ever-popular, creatively-crafted class projects. The evening promises to be one of good food, friends and fun! Join us as we work together to raise funds for FLS! ← From the FLS Headmaster: 11/26/18 From the FLS Headmaster: 12/10/18 → This entry was posted in Classroom News, Homepage News. Bookmark the permalink.